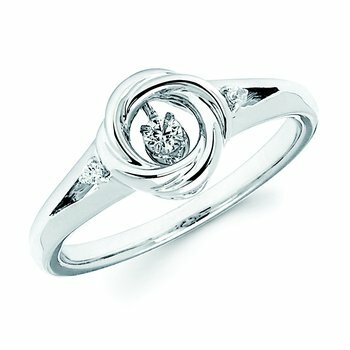 Exhibit a deep and eloquent statement of your love with this gorgeous diamond lovebright ring. Styled in 14 karat shining white gold this square shape ring showcases a cluster of 13 invisible set round and princess cut diamonds at the center. Brilliant 32 pave set round cut diamonds, beautifully encompasses the center in square design and embellishes the shank with a row of dazzling diamonds. Total diamond weight is 3/4 ctw.